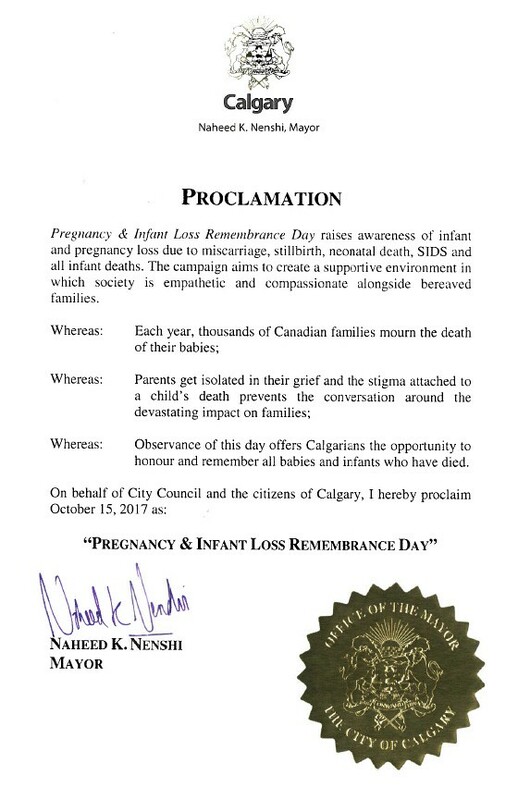 We are hoping to receive support from parents from around the country to put forward requests for recognition of the day as awareness and remembrance day. We provide some sample letters and templates on this page. 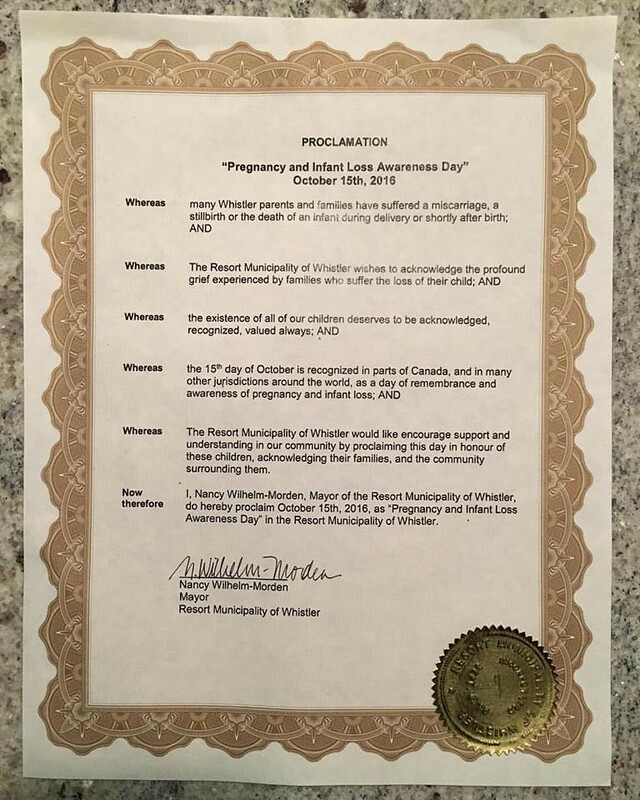 Mayors or city councils often have the ability to proclaim days to recognize the value and importance of an event that has relevance for the city. 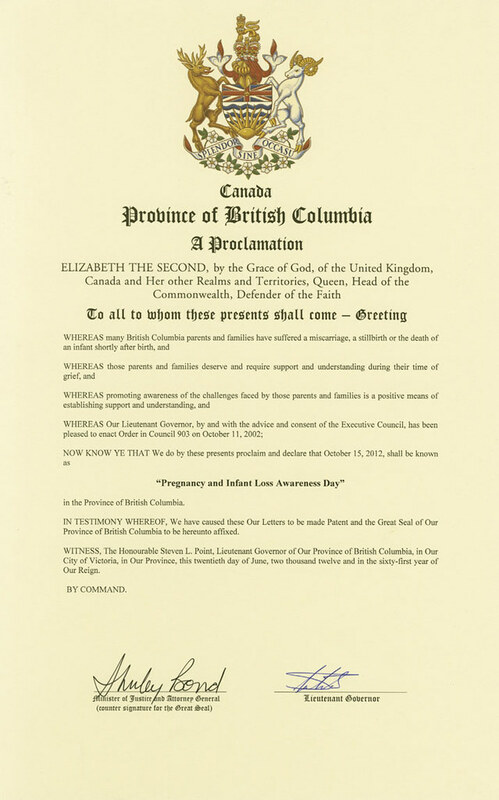 Below is an incomplete list of cities with links to more information on their website about proclamations or the application form. 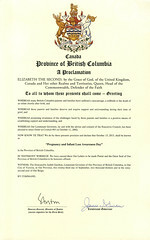 We will try to capture the application status as well. 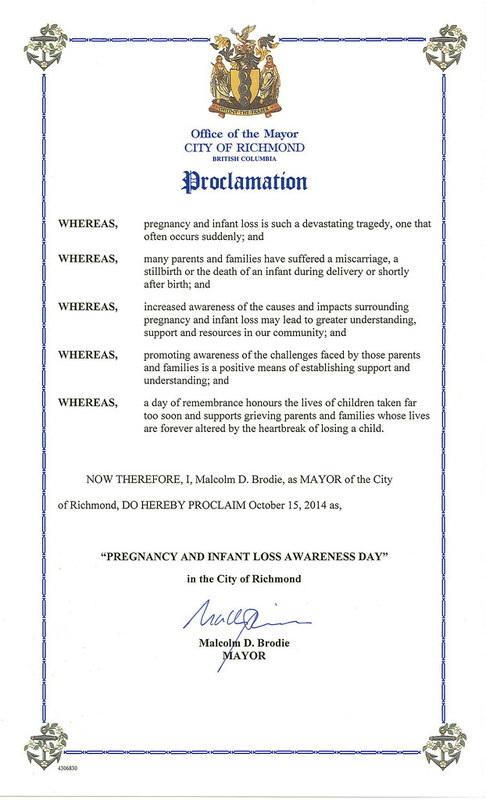 If you are submitting a proclamation request, please let us know so that we can update the status! 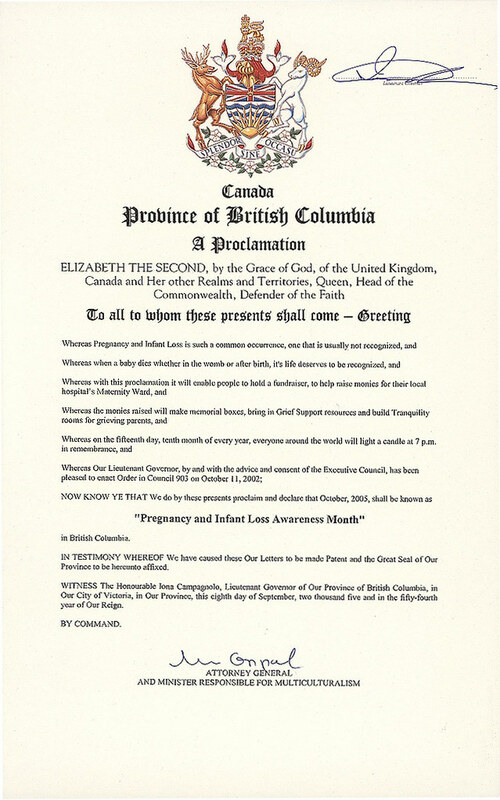 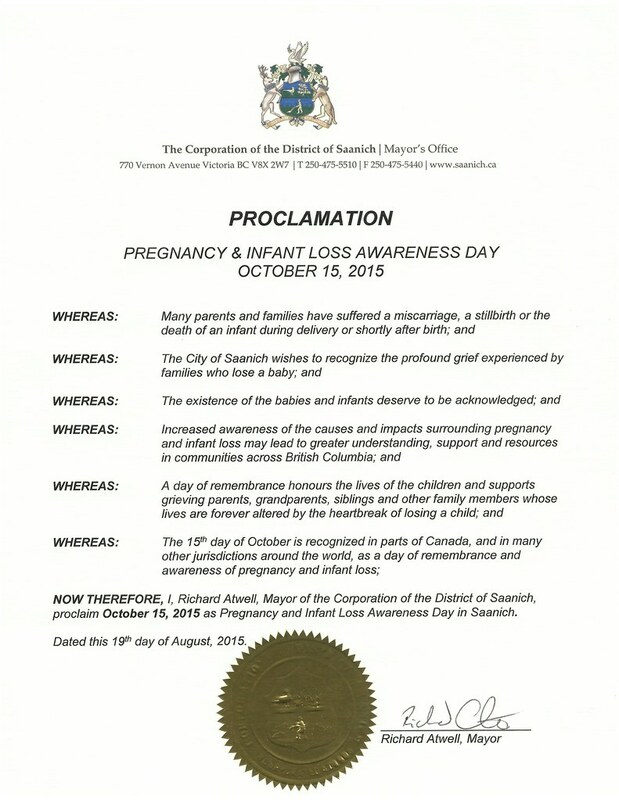 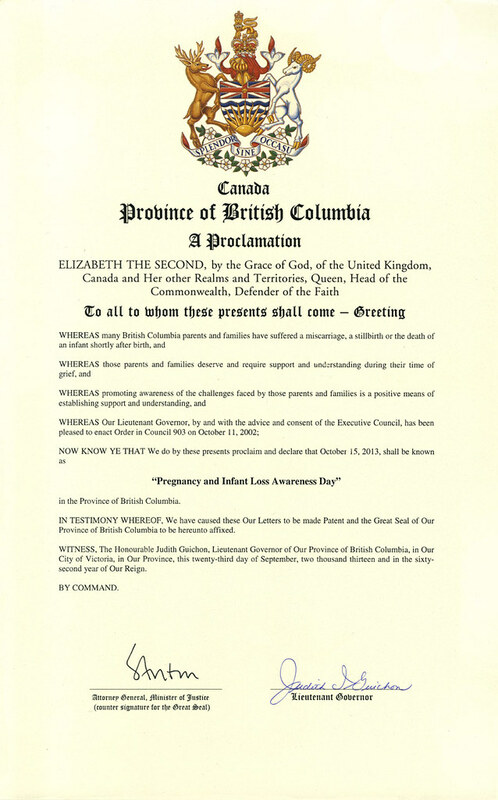 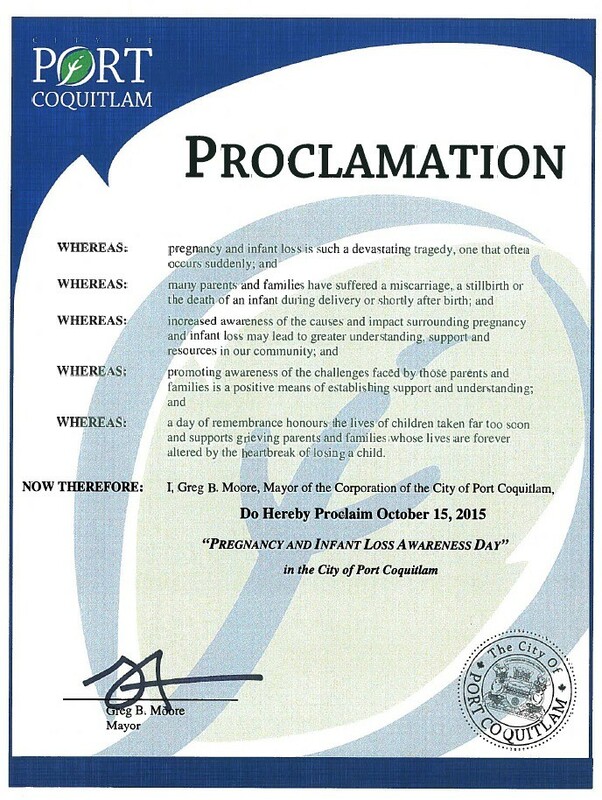 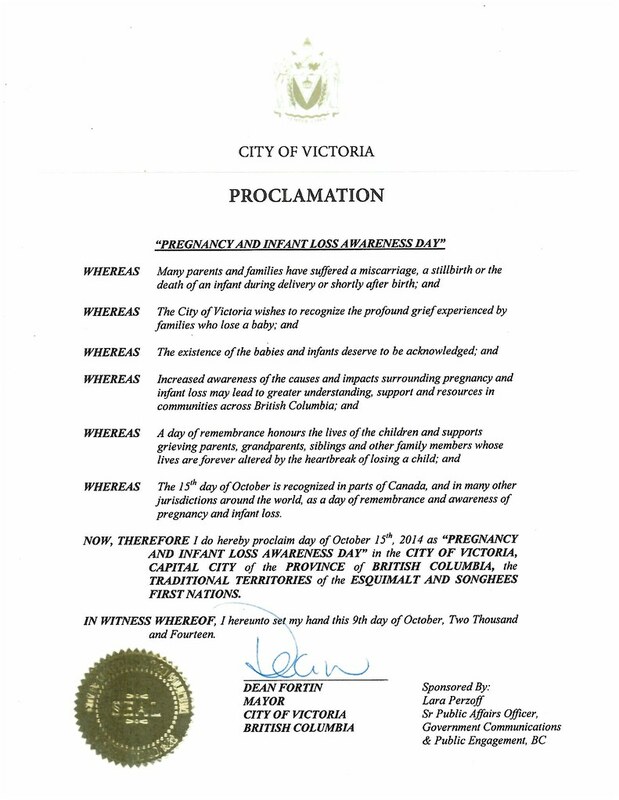 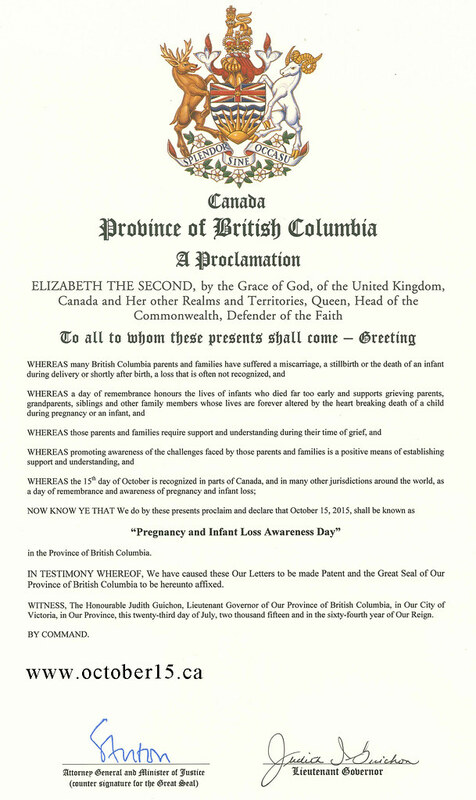 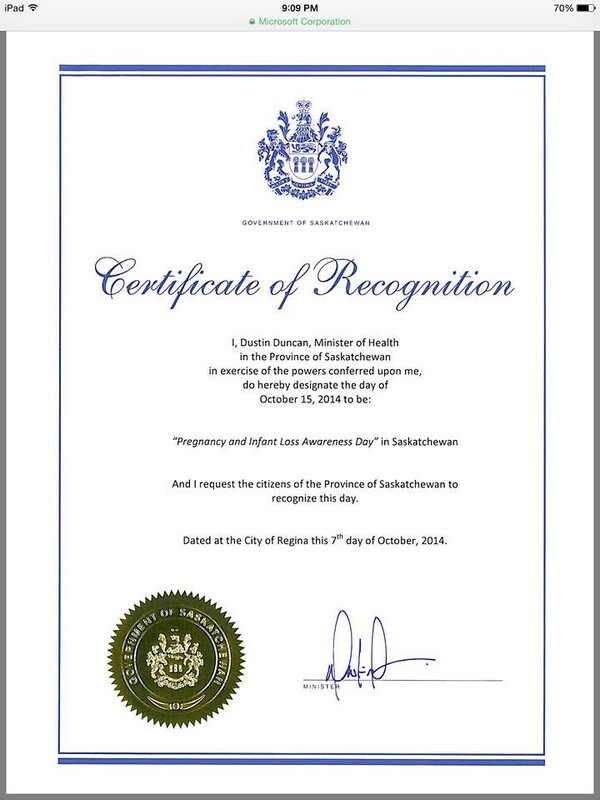 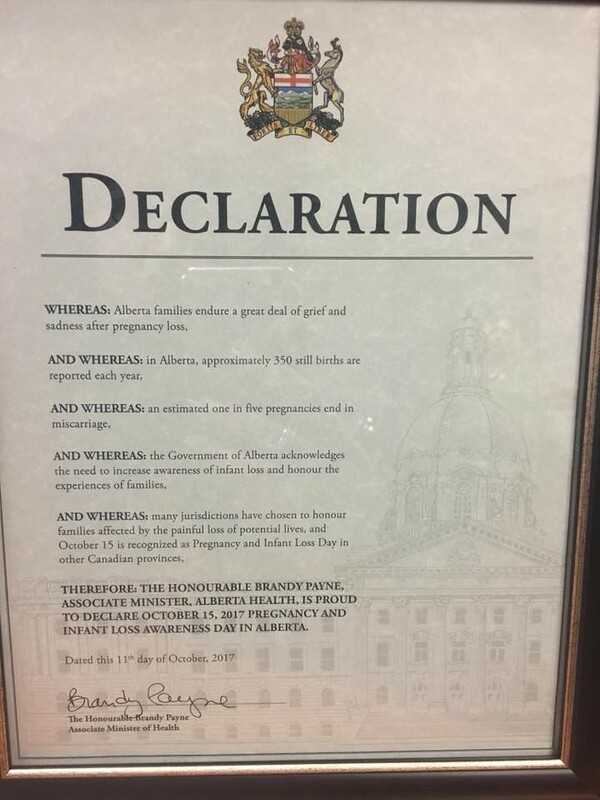 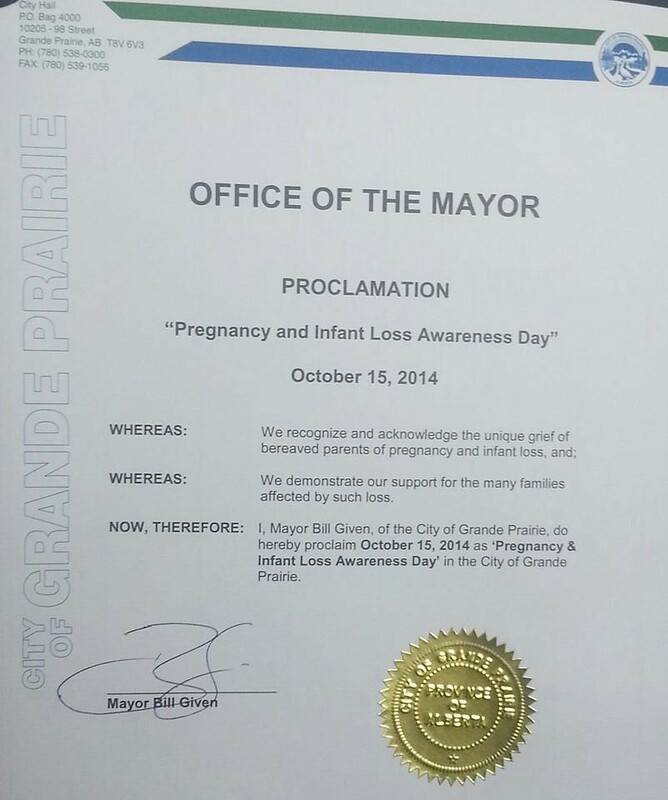 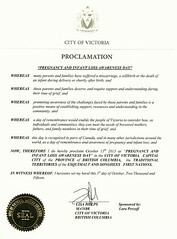 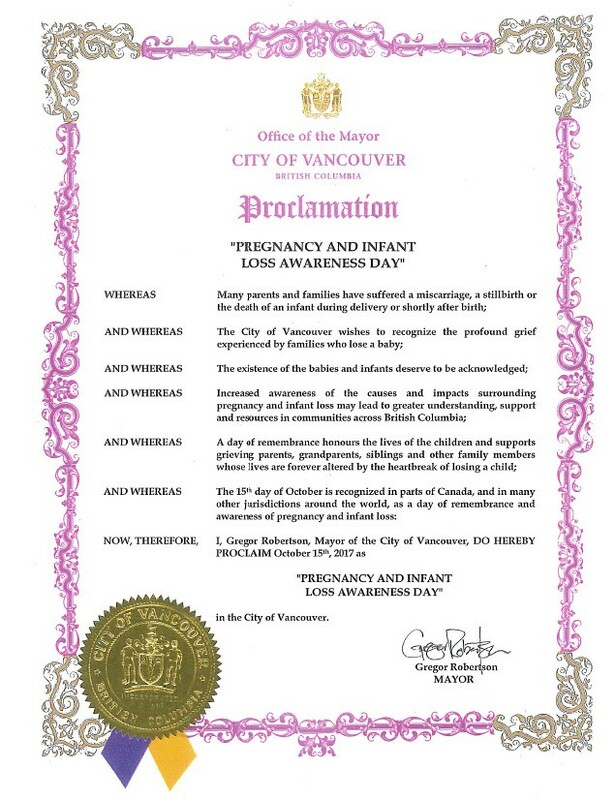 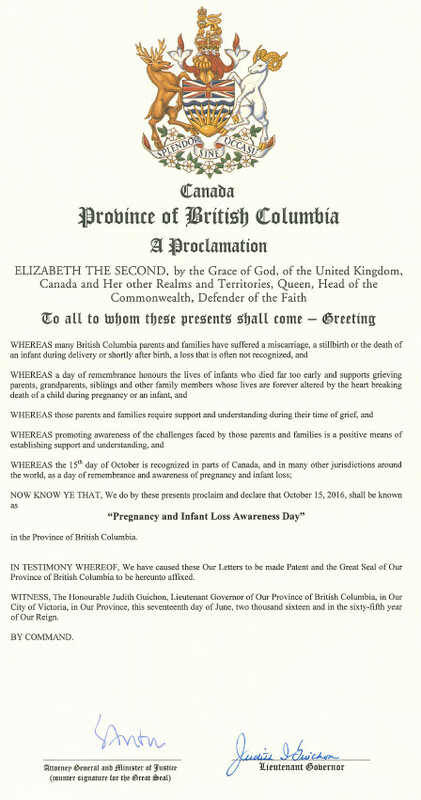 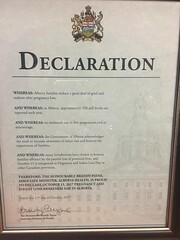 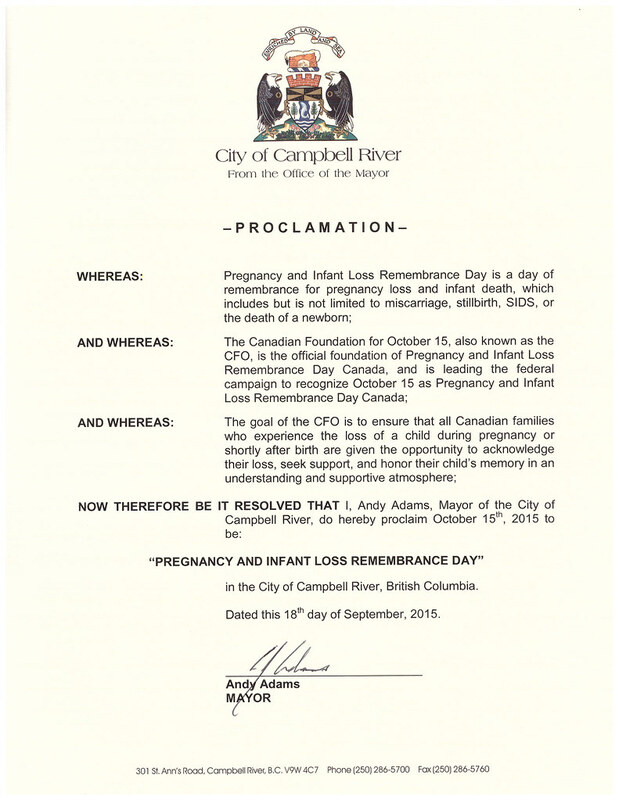 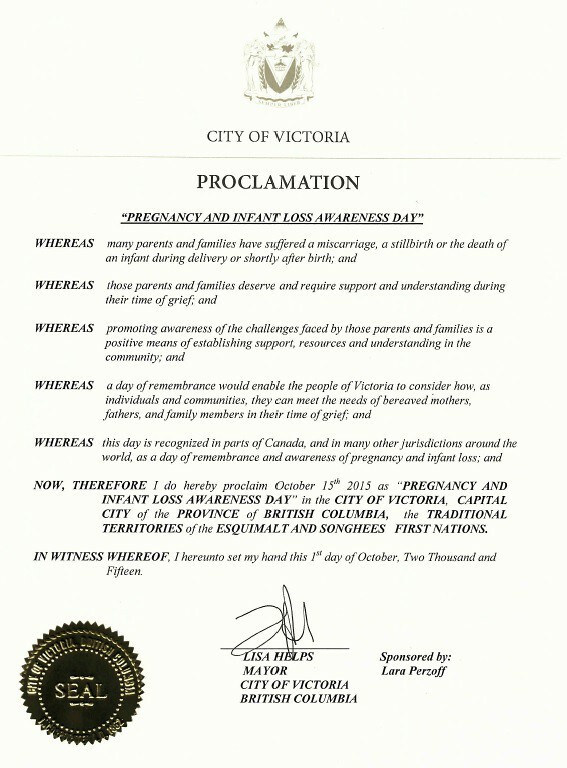 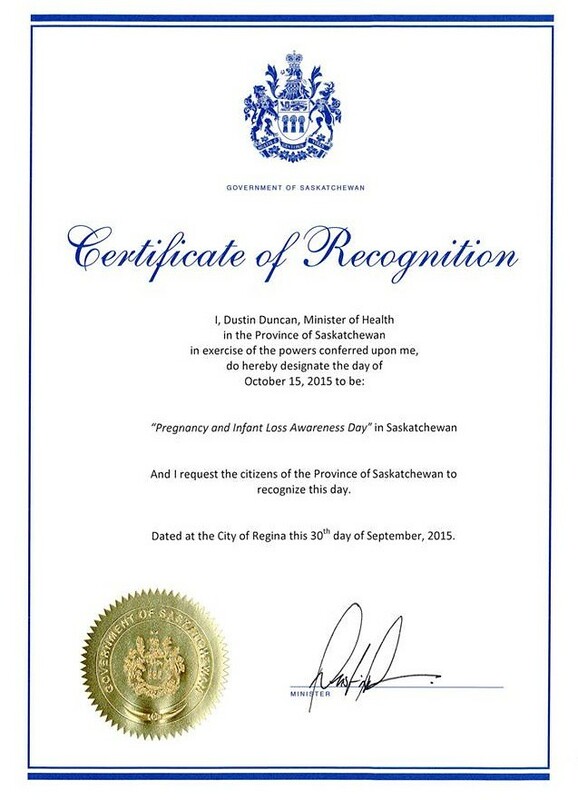 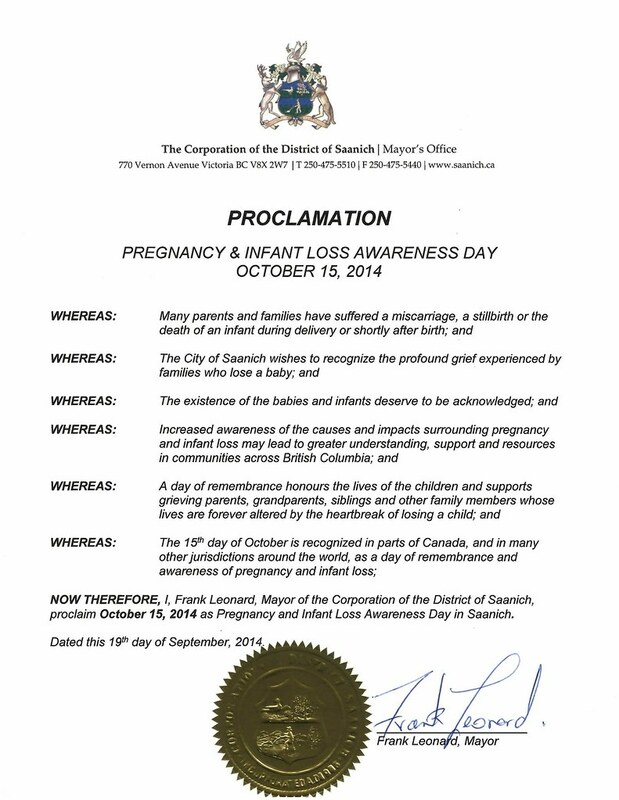 To get the day recognized on provincial level we suggest to contact your local MLA to support such a proclamation. 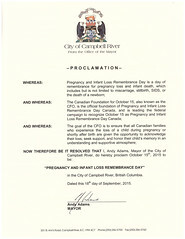 Feel free to use our sample letter to initiate the process. 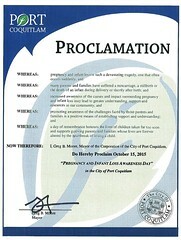 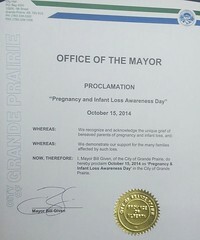 Proclamations are an official announcement on that day of that year. 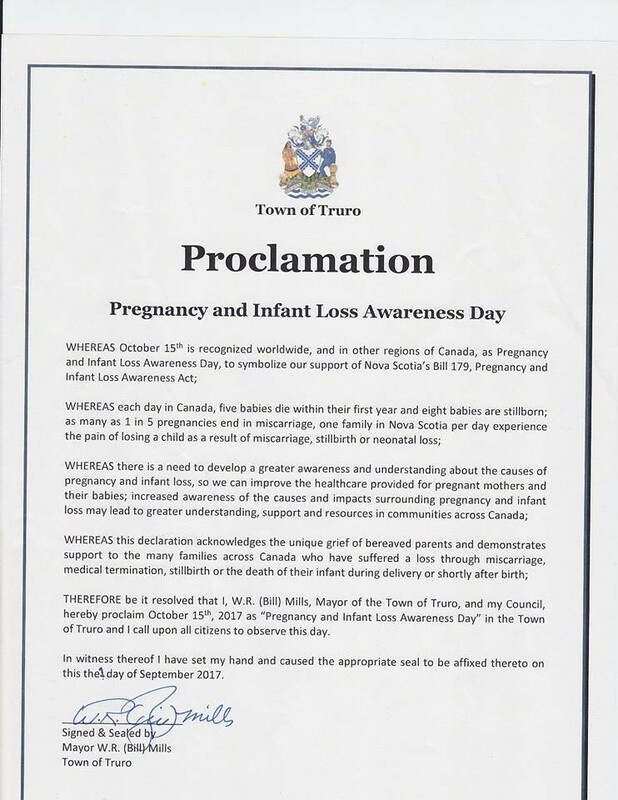 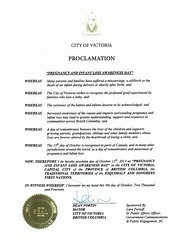 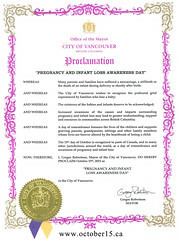 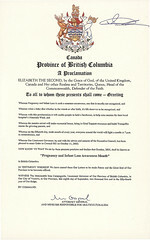 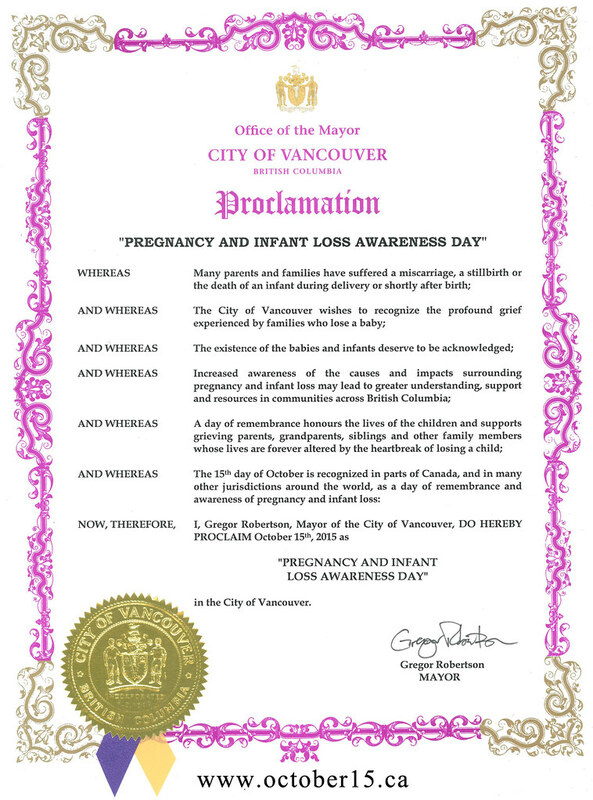 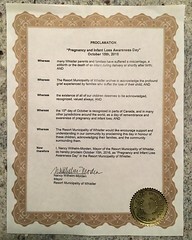 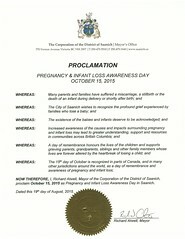 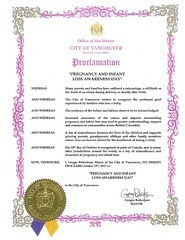 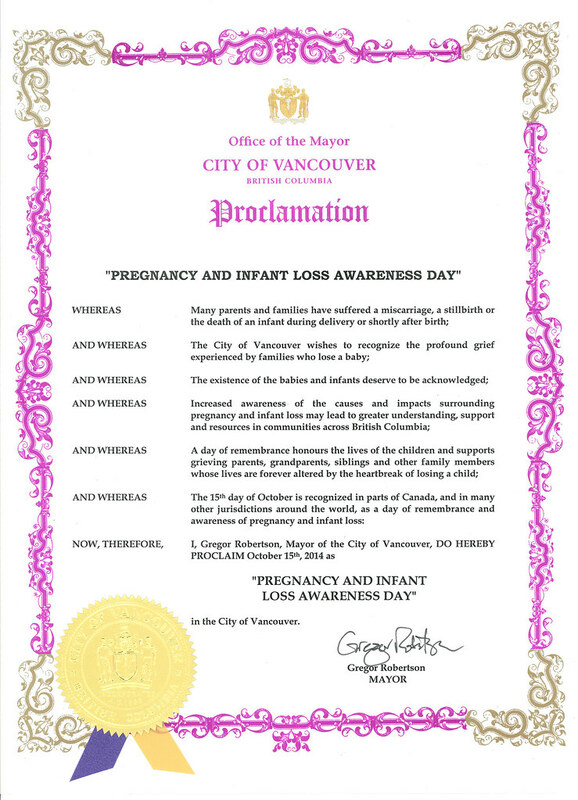 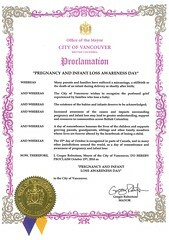 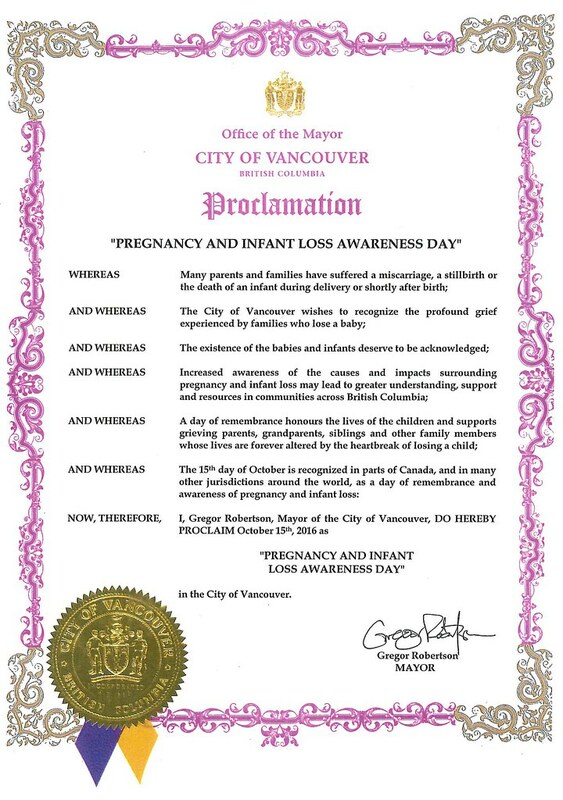 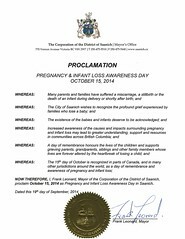 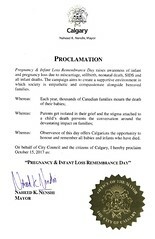 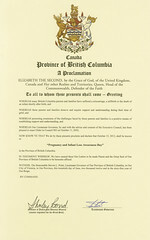 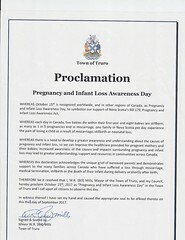 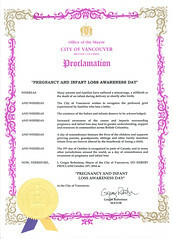 Most provinces proclaim awareness days which means the request has to be put forward and get approved year after year. 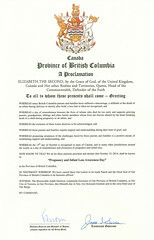 Declarations are an official announcement on that day of every year till the end of time. 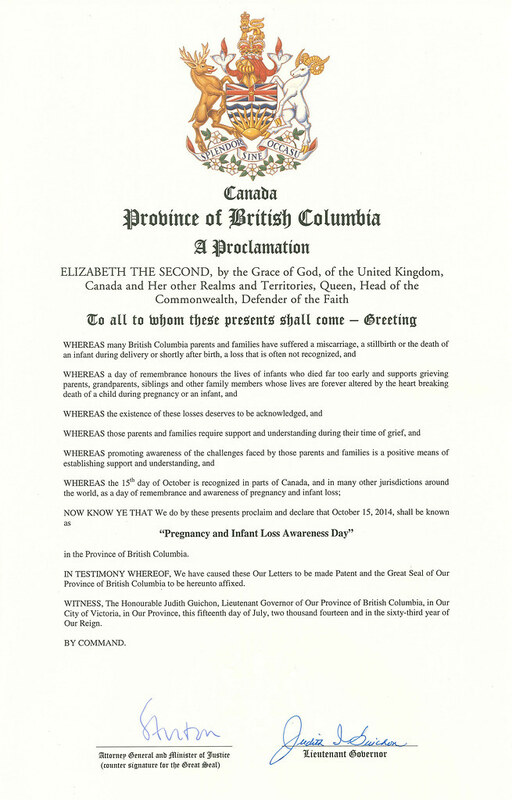 The following table shows an incomplete picture of the status of the recognition of the day in each Canadian province and territory. 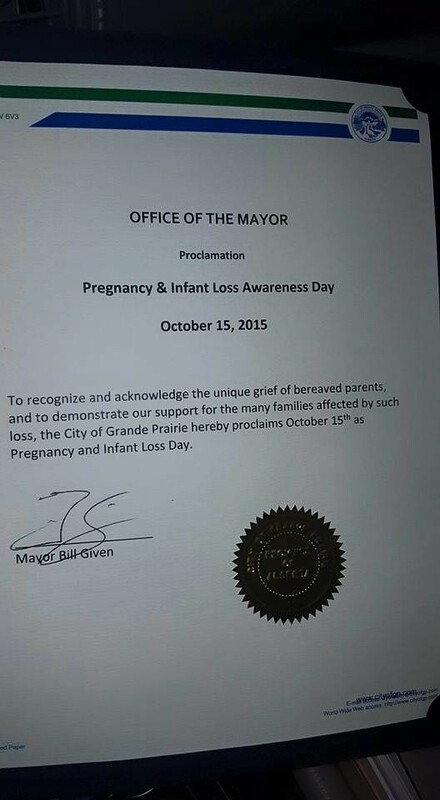 We will update the table as new information becomes available.